Cabine­t of 27 minist­ers, 11 state minist­ers restor­ed. Office­s of Interi­or, Inform­ation Techno­logy still vacant. ISLAMABAD: Prime Minister Raja Pervaiz Ashraf on Saturday allocated portfolios to the newly inducted 38 ministers and ministers of state. According to a notification issued in this regard, following is the list of federal ministers and ministers of state with their allotted portfolios. Chaudhry Pervez Elahi has been made a Senior Minister, with portfolios of Defence Production and Industries. Interestingly, the slot for Minister of Interior, vacated after Rehman Malik’s membership from the Assembly was suspended by the Supreme Court, was left empty. The Ministry of Information Technology too was once again left empty as Ashraf, who previously occupied that office, did not name a replacement. Others were restored. Farzana Raja given Benazir Income Support Programme. Makhdoom Amin Fahim Commerce. Dr Arbab Alamgir Khan as Minister Communication. Nazar Muhammad Gondal as Minister for Capital Administration and Development, and Rana Muhammad Farooq Saeed Khan as Minister for Climate Change. Syed Naveed Qamar, who was recently appointed as Minsiter for Defence, was retained. Similarly, Chaudhry Ahmad Mukhtar was retained in his new role as Minister Water and Power. Elsewhere, Ashraf chose not to disturb the balance in the Foreign Ministry, with Hina Rabbani Khar retained as Foreign Affairs. Similarly, the finance sector too was not altered as Dr Abdul Hafeez Sheikh was kept as Finance, Revenue, Planning and Development, Economic Affairs and Statistics. Qamar Zaman Kaira was restored to the Ministry of Information and Broadcasting. Among others Mir Hazar Khan Bajrani as Inter-Provincial Coordination, Mian Manzoor Ahmed Wattoo as Minister Kashmir Affairs and Gilgit-Baltistan, Senator Farooq Hamid Naek as Minister Law and Justice, Parliamentary Affairs, Haji Khuda Bux Rajar as Minister Narcotics Control, Dr Firdous Ashiq Awan as Minister National Regulations and Services, Samina Khalid Ghurki as National Heritage and Integration, Mir Israullah Zehri as Minister for National Food Security and Integration, Dr Farooq Sattar as Minister Overseas Pakistanis, Senator Babar Khan Ghauri as Minister Ports and Shipping, Sardar Alhaj Mohammad Omar Gorgej as Minister Postal Services, and Senator Moula Baksh Chandio as Minister Political Affairs. With Railways in trouble, its Minister Haji Ghulam Ahmad Bilour was retained. Senior PPP leader Syed Khursheed Ahmed Shah was retained as the Minister for Religious Affairs. Mir Changez Khan Jamali was handed Ministry of Science and Technology. Engr Shaukat Ullah as Minister States and Frontier Regions. Prime Minister candidate and wanted in the Ephedrine case, Makhdoom Shahabuddin was handed the Ministry for Textile Industry. Abbas Ahmed Afridi was given Ministry of State for Commerce. Mir Dost Muhammad Mazari the Ministry of Communication. Sardar Salim Haider Khan was handed the Ministry of State for Defence, Nawabzada Malik Amad Khan as Minister of State for Foreign Affairs, Syed Sumsam Ali Bukhari as Minister of State for Information and Broadcasting, Chaudhry Imtiaz Safdar Waraich as Minister of State for Interior, Malik Azmat Khan Minister of State for Inter-Provincial Coordination, Muhammad Moazzam Ali Khan Jatoi as Minister of State for National Food Security and Research, Dr Nadeem Ehsan as Minister of State for Overseas Pakistanis, Rahela Baloch as Minister of State for Science and Technology and Tasneem Ahmed Qureshi as Minister of State for Water and Power. Secretary Information Pakistan Peoples Party (PPP) Qamar Zaman Kaira was given the portfolio of Ministry of Information and Broadcasting on Friday, after taking oath as a federal minister in Prime Minister Raja Pervaiz Ashraf’s cabinet. Born on January 5, 1960 in Lala Musa district, Gujrat, Kaira served as Federal Minister for Information and Broadcasting twice in former Premier Yousaf Raza Gilani’s cabinet between 2008 to 2012. He also served as a Federal Minister for Kashmir Affairs and Northern Areas and as the acting Governor of Gilgit-Baltistan. 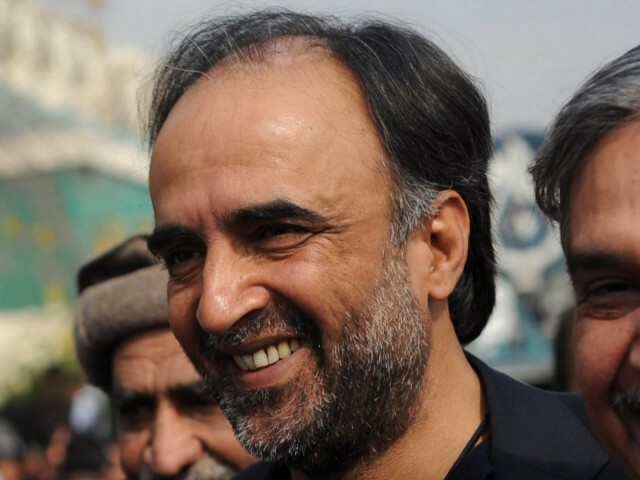 Kaira was also in the running for the prime minister slot himself, when he filed nomination papers along with the other two PPP candidates, Makhdoom Shahabuddin and Raja Pervaiz Ashraf. Three PPP candidates, one each from JUI-F and PML-N file nomination papers. Election Commission awaits NA speaker’s response before it initiates process. Prime candidate for the prime minister slot will be announced by the PPP at 11am on Friday. Naveed Qamar made defence minister, Ahmed Mukhtar made minister of water and power.